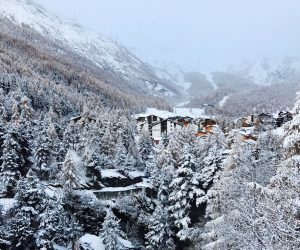 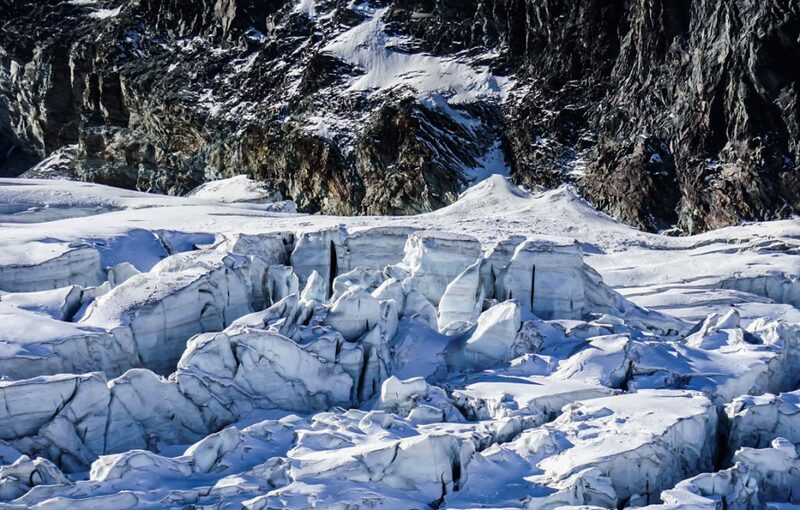 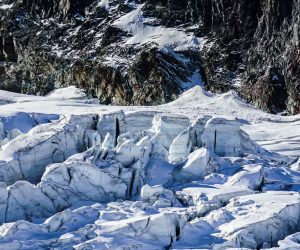 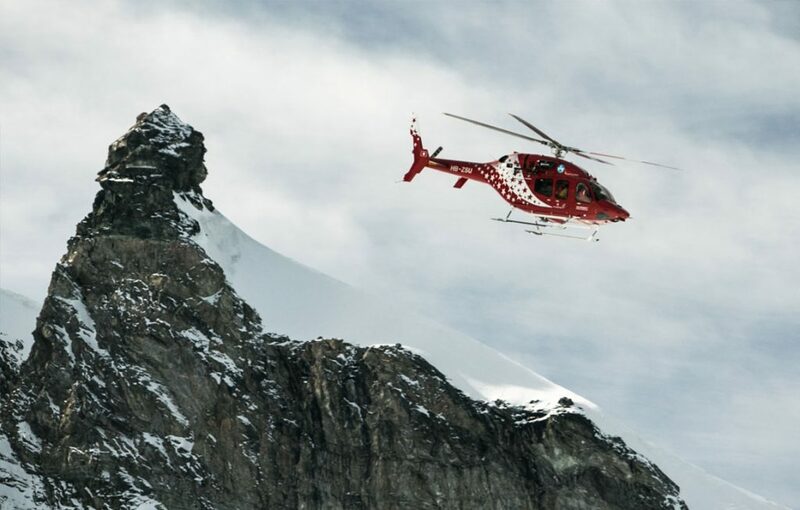 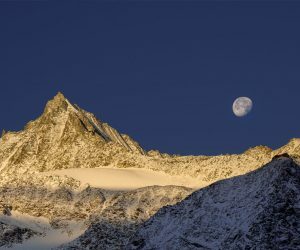 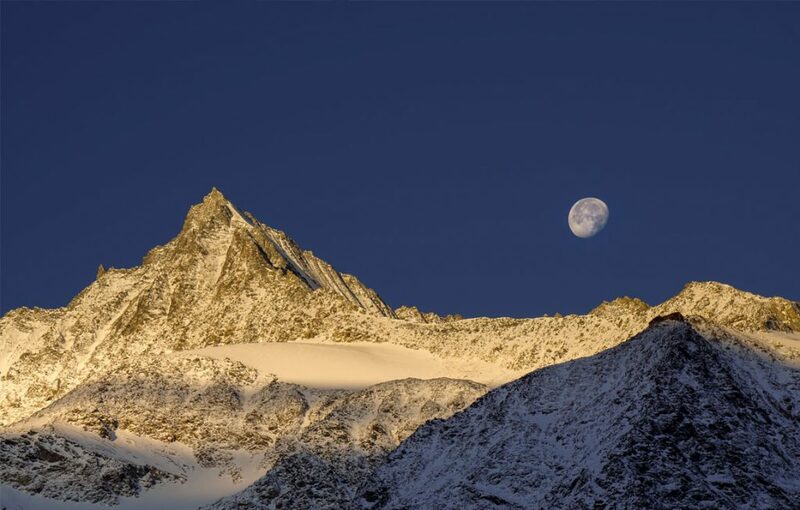 Saas Fee is a stunning mountain village surrounded by breathtaking peaks – but most important of all it sits beneath one of the best skiing glaciers in Europe. 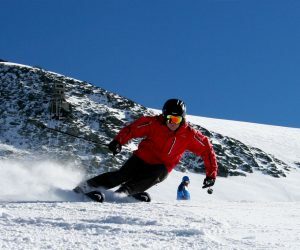 The course gives you the unique possibility of completing the course in Europe and then working for the entire winter. 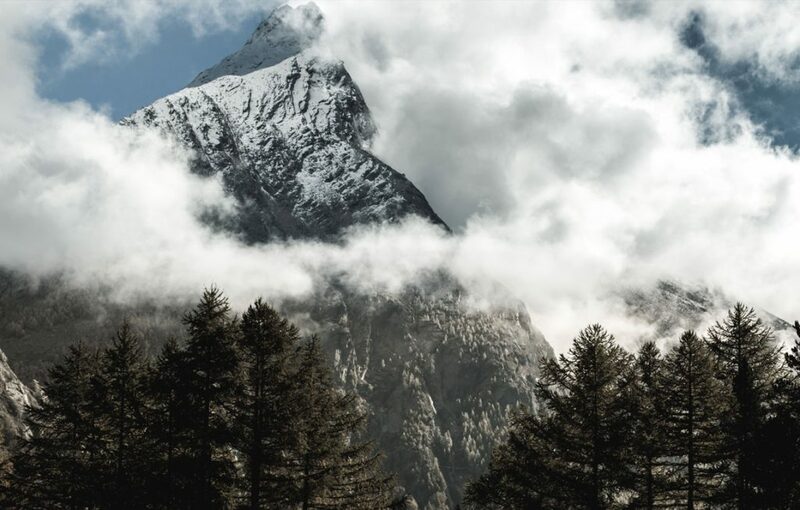 And because we have contacts all over the Alps (and beyond) we can help you apply for work across Europe as well as Canada and Japan. 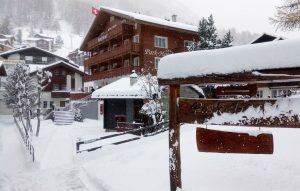 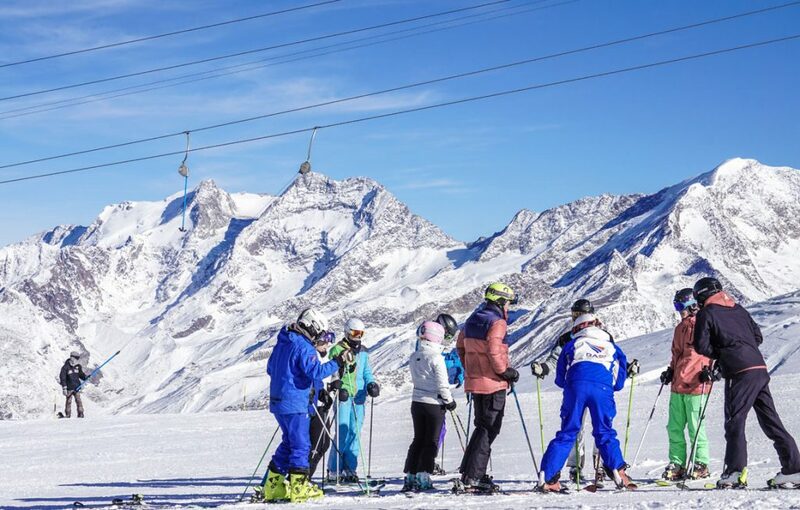 So if you want to teach for a winter, Saas Fee is the perfect platform. 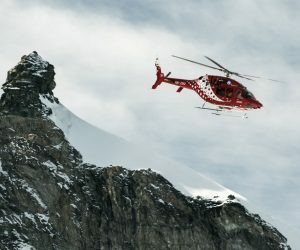 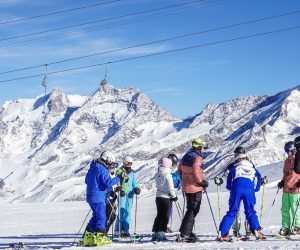 WHAT’S A COURSE IN SAAS FEE LIKE? 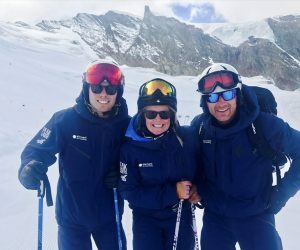 Saas Fee in pre-season is an amazing place – because not only are Peak Leaders trainees in town, but the resort has World Cup race teams, local ski clubs and some of the world’s best freestylers all in town for some preseason training – so it’s a pretty inspirational environment up there on the glacier. 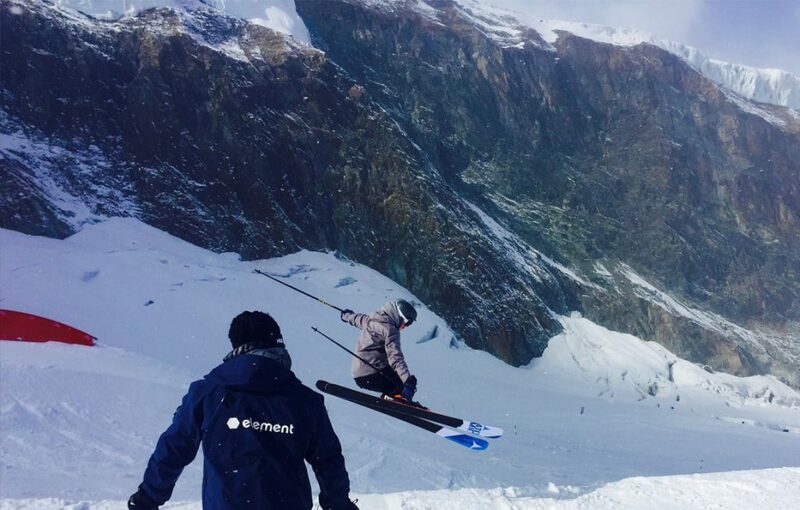 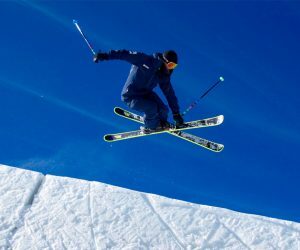 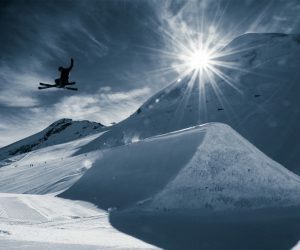 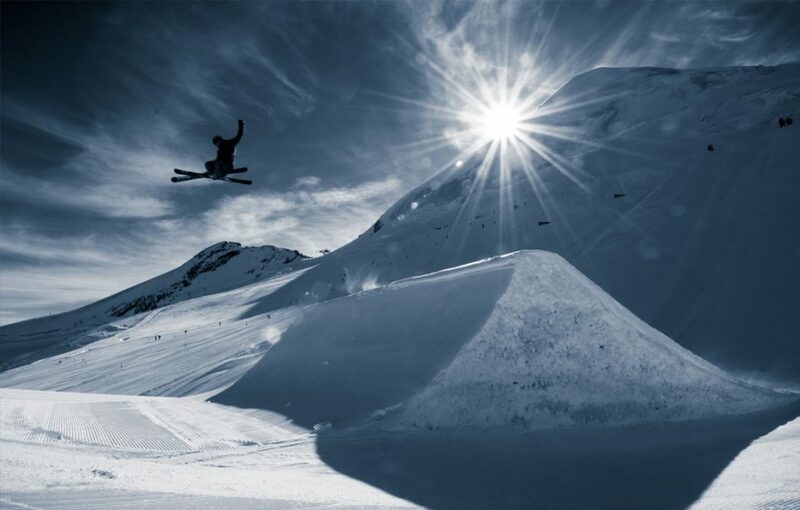 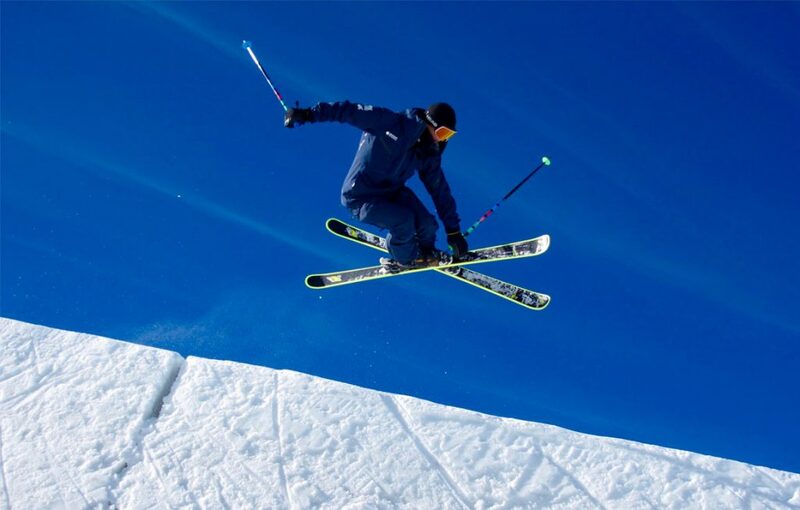 The glacier is perfect for race training and every year teams are up early setting gates and getting ready for a season of racing, whilst the freestylers make for the impressive Saas park and work on tricks that seem to defy gravity. 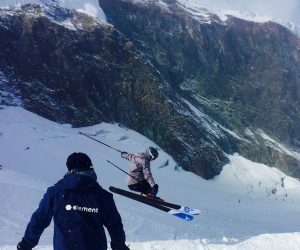 And that’s where our trainees go for the freestyle day – often going from complete novices to throwing 360s in the space of just a few hours. 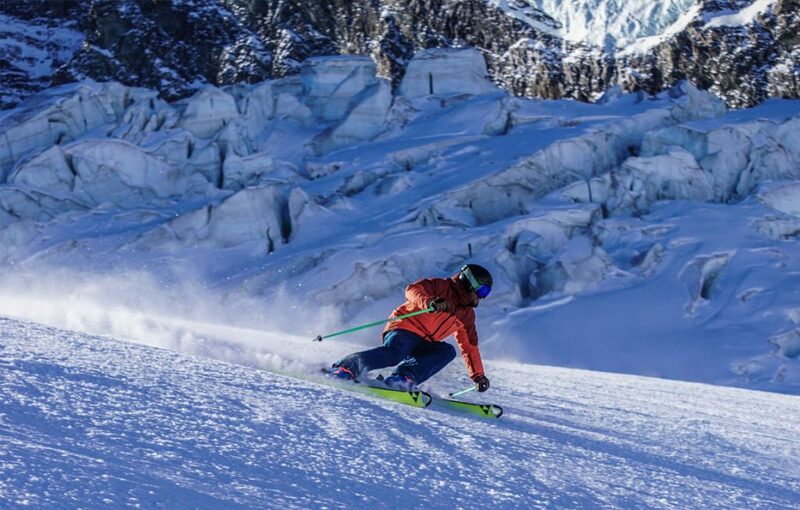 The resort tops out at 3,600 meters so it’s as snow sure as you can get, and when the early season storms come charging across the high peaks and glaciers we can suddenly find ourselves skipping training and getting some powder turns in. 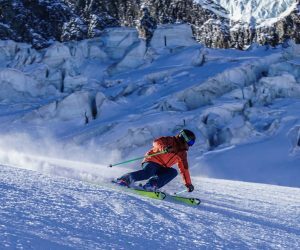 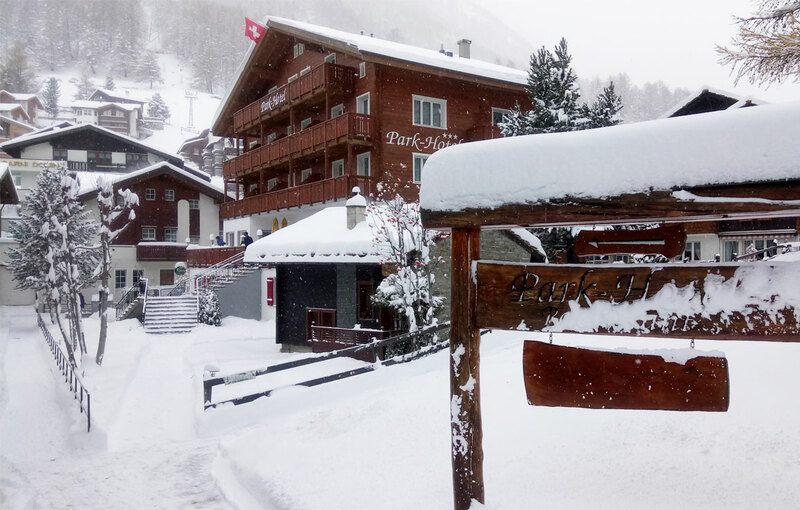 And once the big storms have moved through you can get some of the best piste conditions anywhere in the world – so get ready to ski on hero snow. 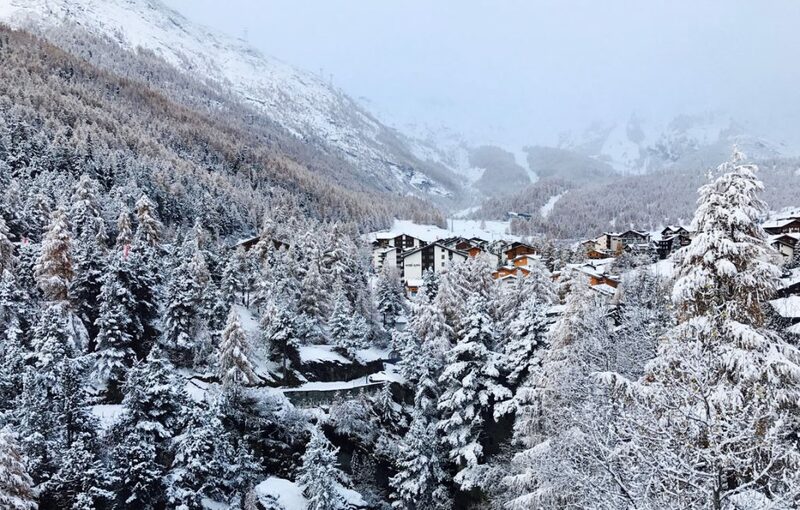 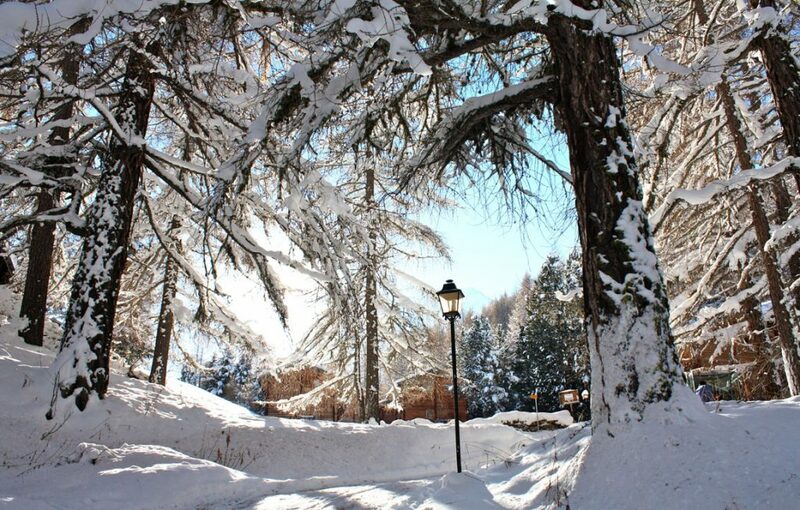 But Saas Fee isn’t one of those big modern ski resorts, it’s a stunning old village that’s been there for centuries and even now you still feel like you’ve stepped into another world. 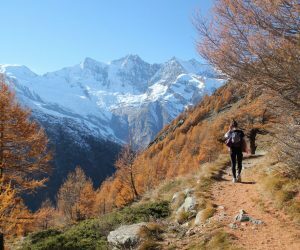 From traditional old hotels and guest houses to modern bars and cafes, Saas Fee is a wonderful town with plenty going on to keep you entertained. 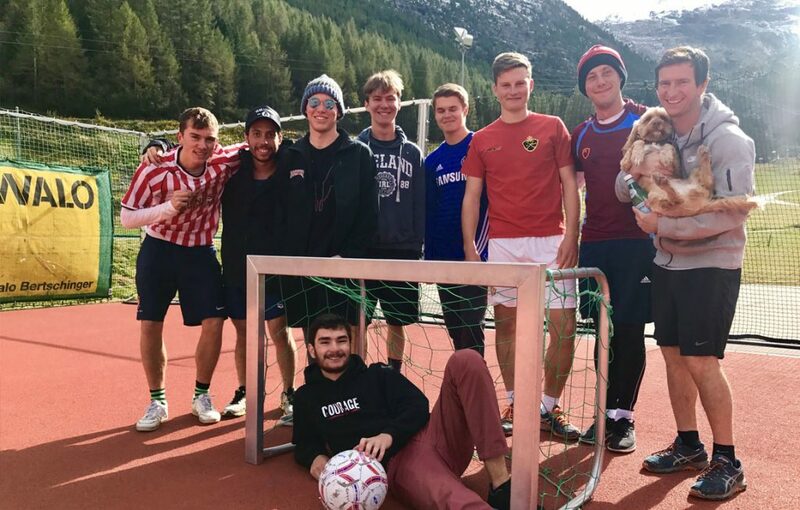 And the best thing about a course in Saas? 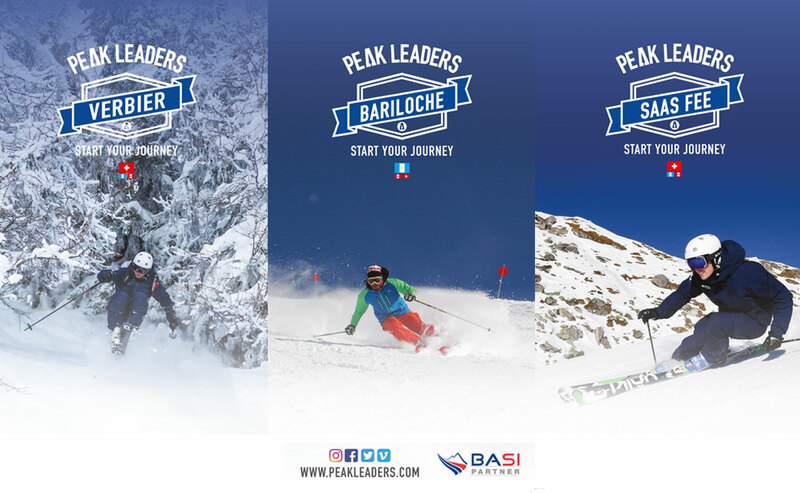 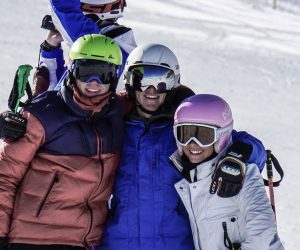 When it finishes everyone else is only just starting, so you’re in the perfect position to either stay around and work or head off to explore another resort… And our expert coaches are on hand throughout the course to help you make a plan for the winter. 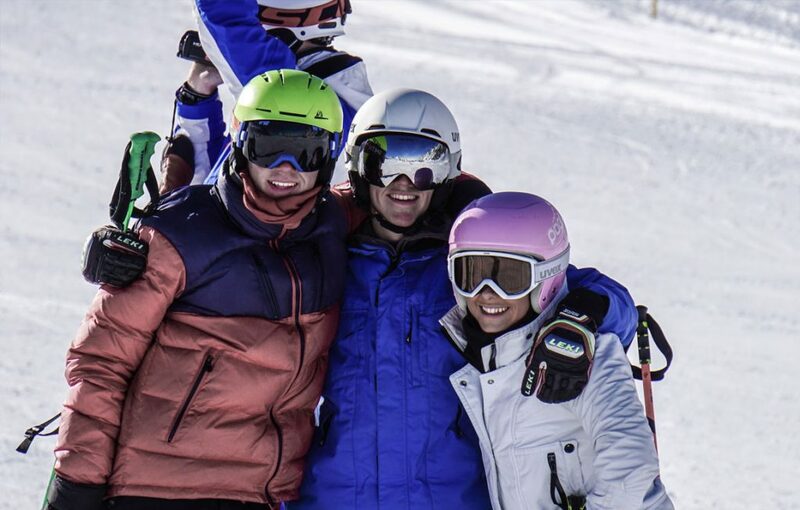 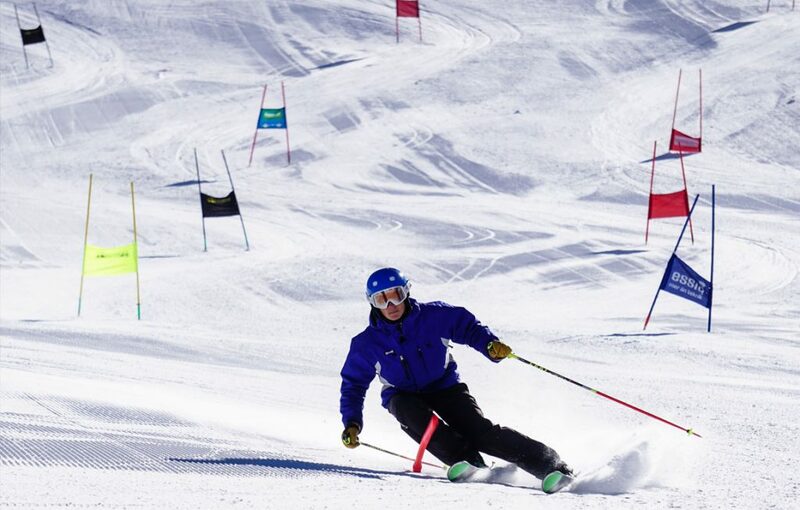 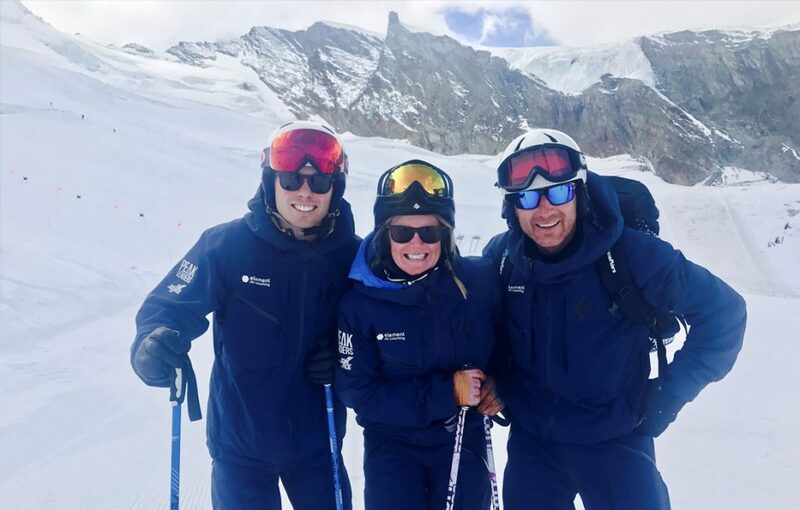 It’s a big decision planning a ski instructor course – and with different options and dates it’s important you pick the course that’s right for you. 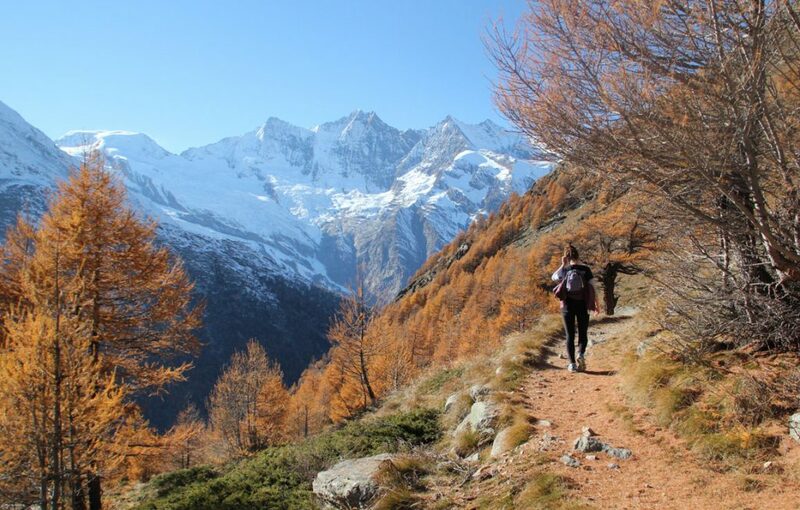 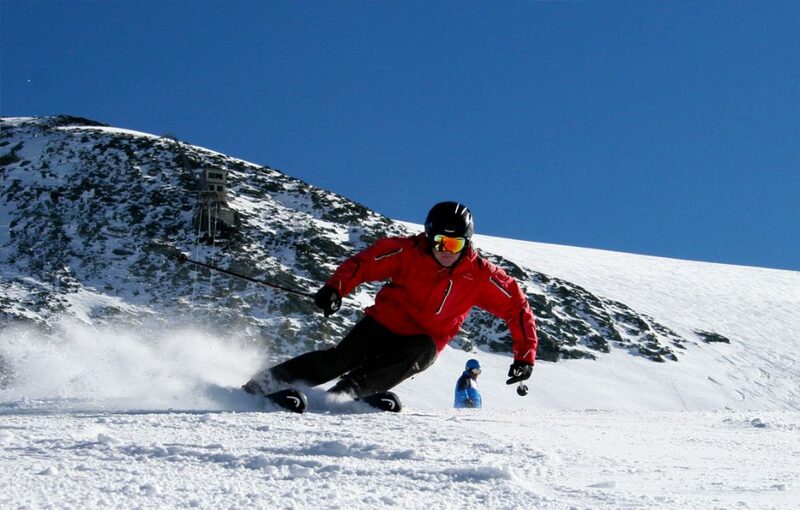 So why not compare Saas Fee with another Peak Leaders course? We’ve been staying at the Park Hotel for years and it never disappoints. 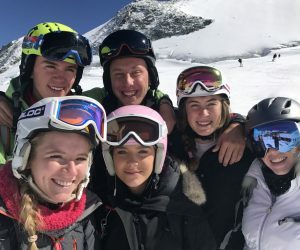 Run by the legendary Patrick and his family, they really look after our trainees and provide the perfect place to relax after a hard days skiing. The hotel is right in the middle of town in a really quiet spot just off the main street – so everything is a stone’s throw away but you can still get plenty of peace and quiet. 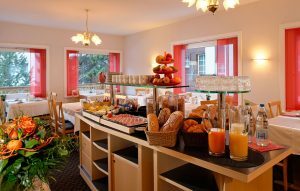 You’ll get breakfast everyday and a three course evening meal five evenings a week all served in the hotel’s restaurant. 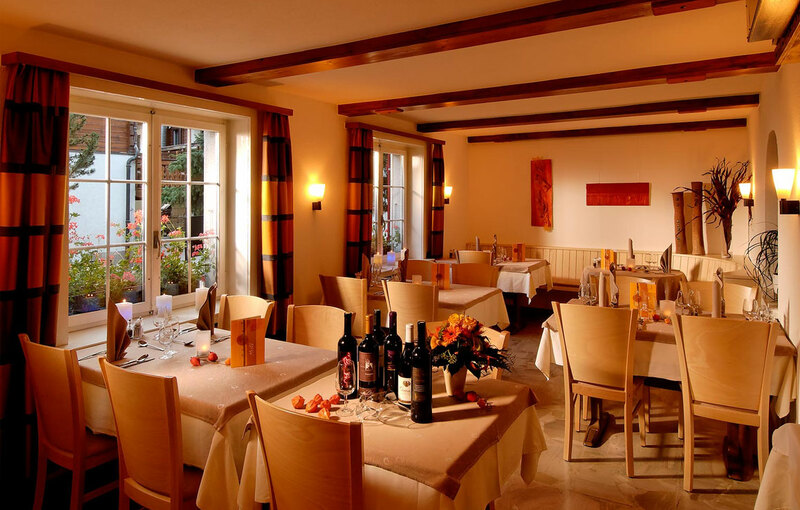 There’s also a bar in the hotel if you don’t fancy dashing through the chilly autumn air for a drink with friends. Meanwhile the rooms are shared doubles and always clean and cosy. 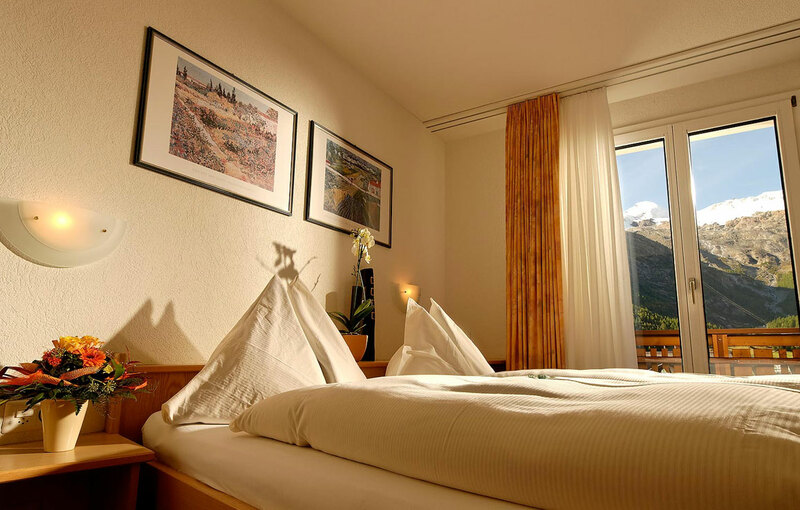 Most rooms also have a balcony so you can catch the last of the sunshine after training and soak in the stunning view of the mountains and glaciers. 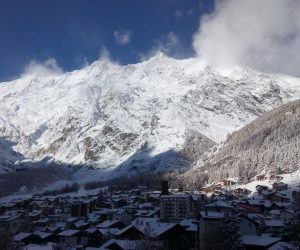 Saas Fee is car free and everything is only short a walk away, but if you’re feeling really lazy you can get an electric taxi to take the strain and drop you at you destination. 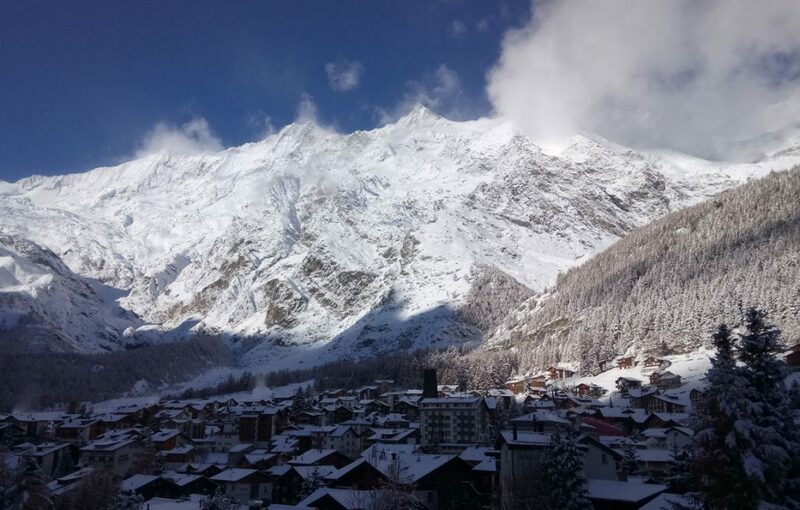 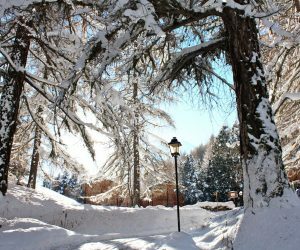 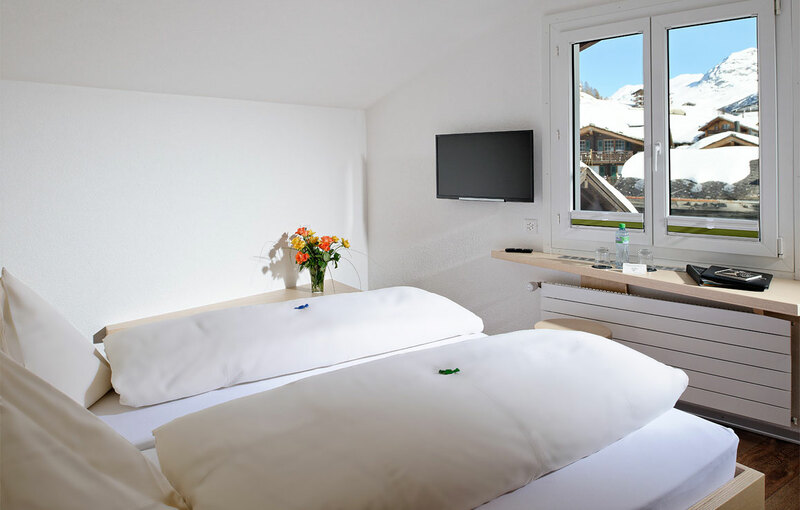 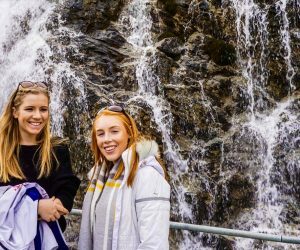 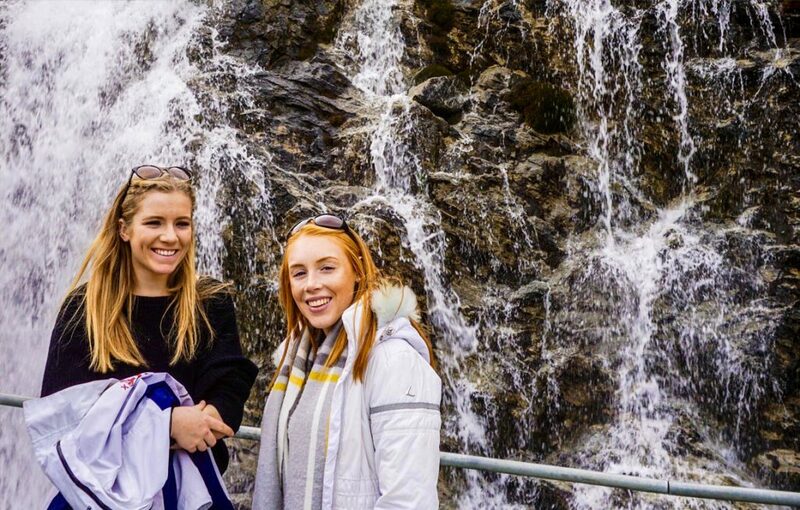 If you are interested in living outside of the hotel, or if you want to stay with friends or find an apartment for the autumn and stay there for the whole winter, then our accommodation-free, self-catered option in Saas Fee might be right for you. 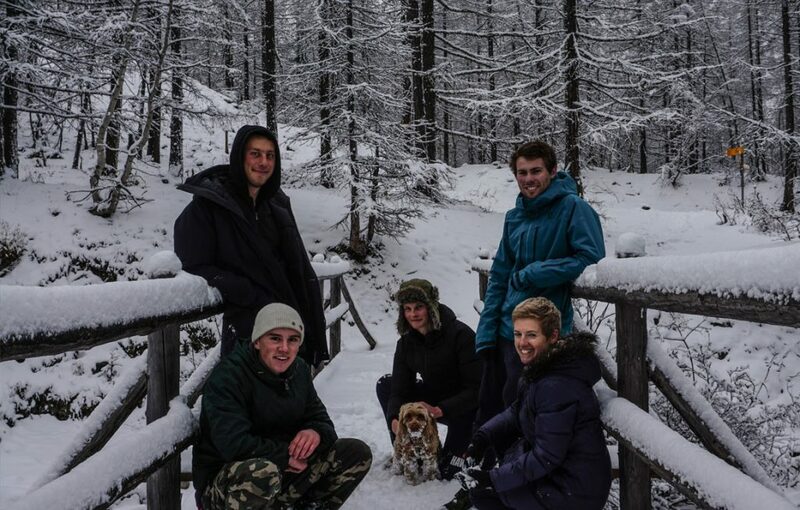 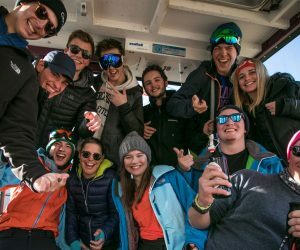 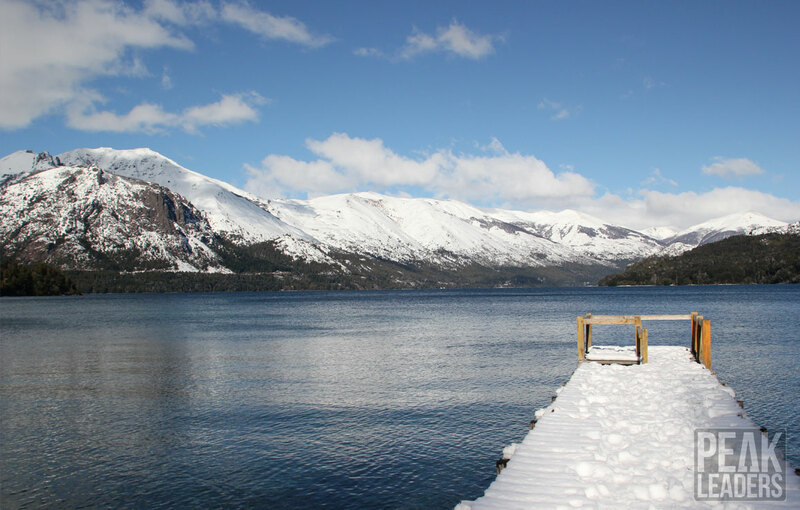 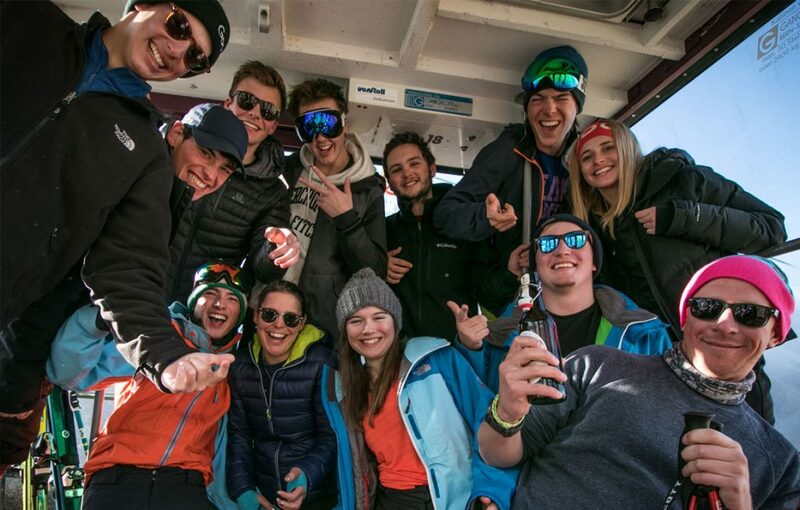 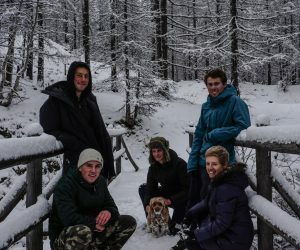 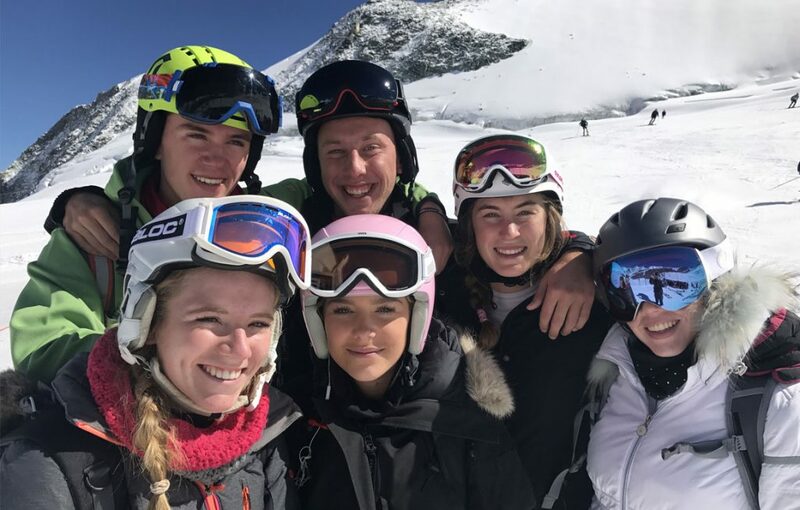 You get more flexibility of finding your own accommodation, and you can arrange it direct – then be part of all the training and off snow activities with the other trainees. 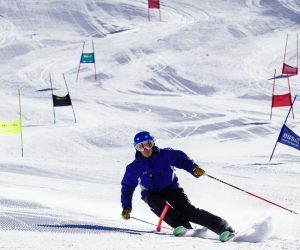 Once you’ve completed the course then you have a number of options. 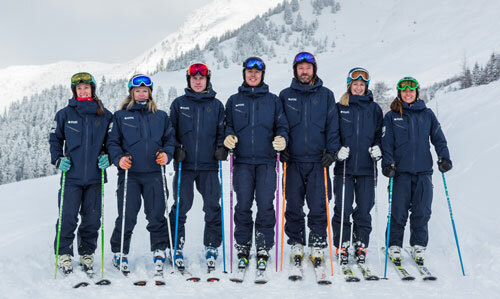 Throughout the course your trainers and mentors will have been talking to you about the possibility of applying for a ski school job with your new qualification, as well as what you can do if you decide you don’t want to teach for the remainder of the season. 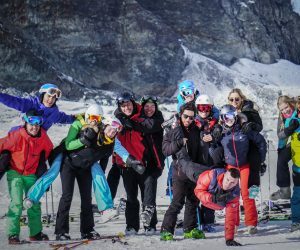 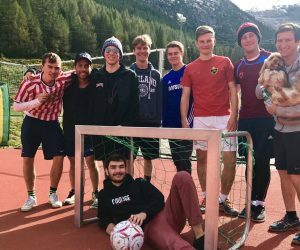 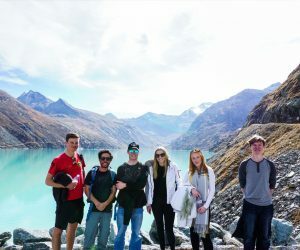 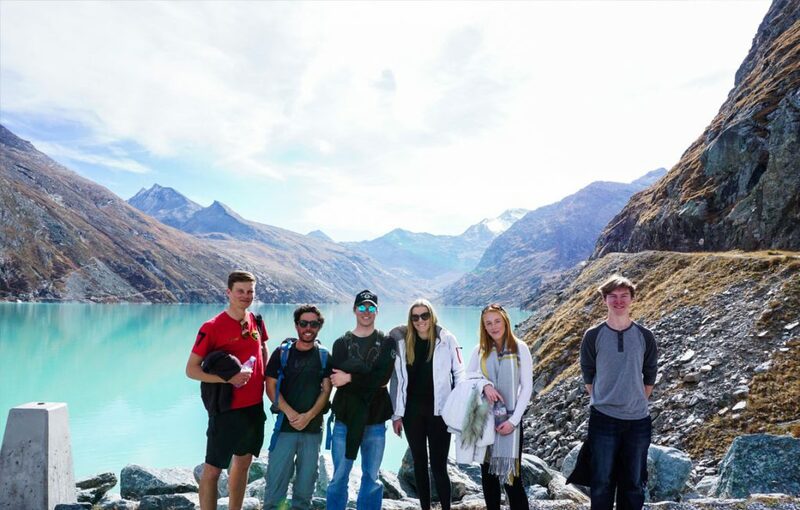 But if you are looking at other schools (including staying in Saas Fee and teaching for the winter here) we are very happy to advise and use our extensive network of contacts to see how we can help you take that next step. 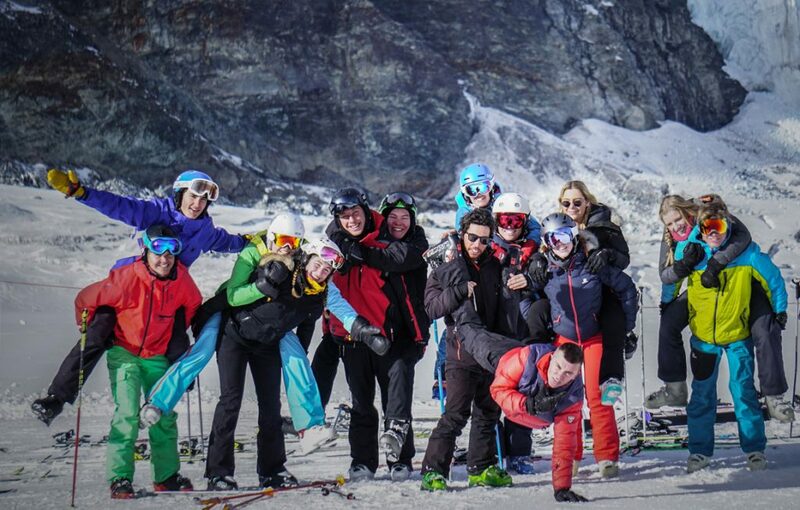 WHAT ELSE CAN YOU DO IN SAAS FEE? 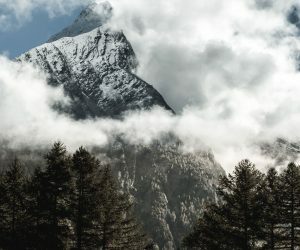 Well we’re glad you asked. 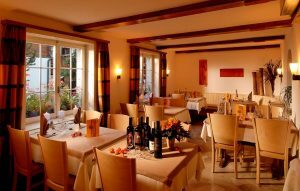 Because there are quite a few extra things you can do… All these and more can be arranged when you’re here – just ask the team and they’ll be happy to help get things arranged.